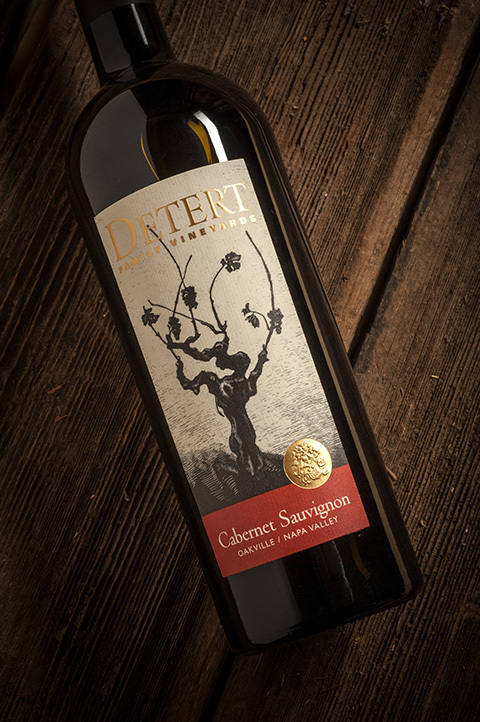 Detert Family Vineyards, a third-generation Oakville winery, needed a new look. I designed a distinctive label and a custom scratchboard illustration showing their goblet-style vines. The gold embossed crest brightens the dark hues of the label and conveys a sense of quality. This unique label has stood the test of time, nineteen years later it's still going strong. I highly recommend this exquisite, small production wine. ©2019 Combustion Creative, all rights reserved.